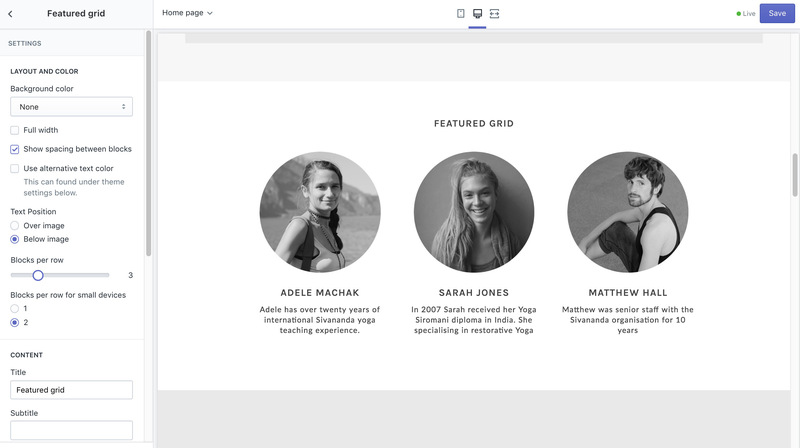 The Image with text and Featured Grid sections can be configured to create unique layouts for a wide variety of uses. 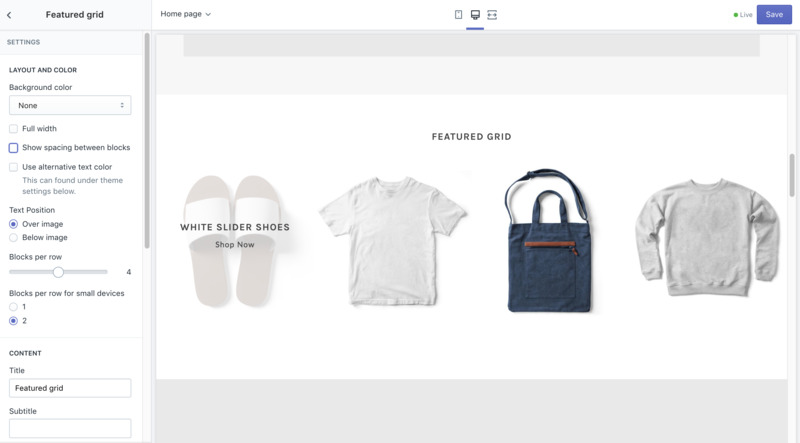 The Image with text section allows you to design sections using a combination of images, text and call to action buttons. The Text position option sets the position of the caption box and can be configured to display a full width, three quarter or half width image. Use the Alternative text color for adding contrast to dark images. Read more about working with colors, fonts and styles. If you would like to use embedded text instead of the theme text fields, simply leave the form fields blank and add in a hyperlink. 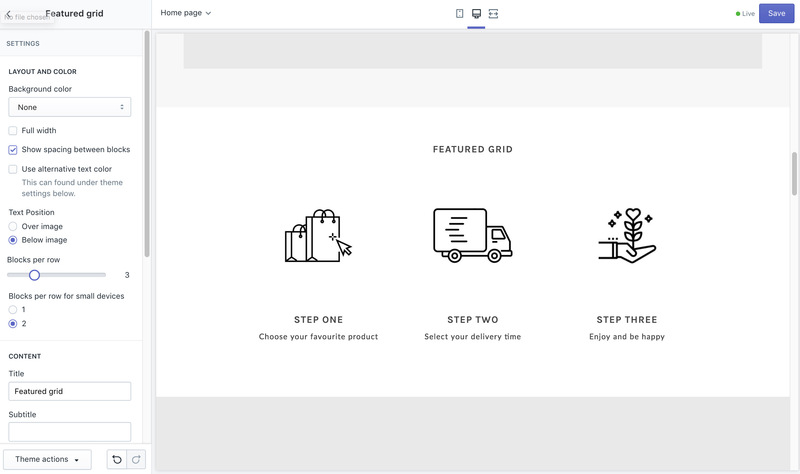 The Featured Grid allows you to design section layouts in grid blocks using combinations of images and text. The settings allow you to configure how blocks are displayed - the number of blocks per row, spacing between them or where text and buttons are positioned. Below show examples for some popular use cases.